New Mexico is home to many types of bugs and rodents, but that does not mean they are welcome in your home or business. AAA Organic Pest Control can help you keep pests away using treatments that are safe for your family, pets and customers. The exterminators at AAA Organic Pest Control are some of the most experienced technicians in the business…and experience matters. Our exterminators conduct thorough inspections so that we can identify pests and the best treatments to get rid of them and keep them from coming back. Maintaining a pest-free business is essential to maintaining a good reputation and healthy operations. But a business that smells of bug spray does not inspire confidence in your customers or allow employees to breathe easily. 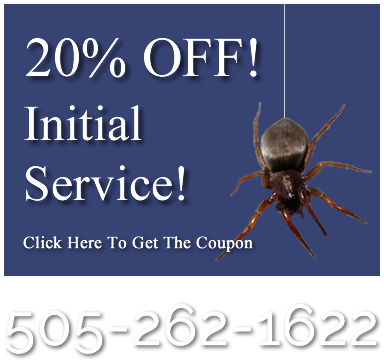 There are dozens of pest control companies offering service in the greater Albuquerque, NM area. Which one do you choose? The one that provides the best value for your money—AAA Organic Pest Control. 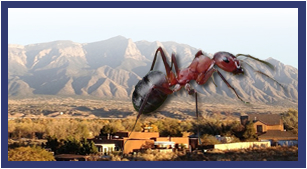 Maintain an enjoyable living space and increase the value of your Santa Fe home by keeping it pest-free. AAA Organic Pest Control delivers the results you want with safe and effective organic treatments. 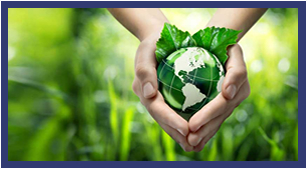 We effectively rid your home or business of pests using organic or green treatments that are low impact solutions for the people and pets that inhabit your space. 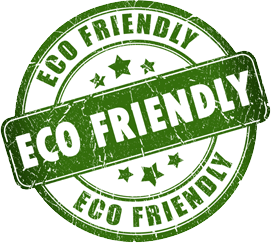 And, our environmentally-friendly pest control is affordable! 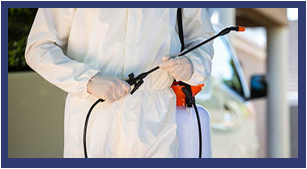 AAA Organic Pest Control provides fast response to your pest control calls. 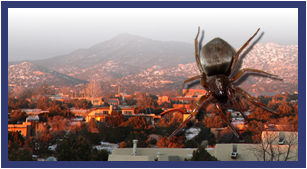 Our exterminators can be on-site for residential and commercial service in Albuquerque and Rio Rancho within 24 hours, in Santa Fe within 48 hours…or even sooner for emergency pest control service. We also provide Saturday exterminator service until 3:00 pm. If you have a pest problem that requires professional treatment, contact the pest control team at AAA Organic Pest Control. We offer free quotes over the phone for residential customers, and we will perform an initial inspection at no charge for commercial customers.